A new species of flat lizard found in Africa was named after the naturalist Sir David Attenborough. 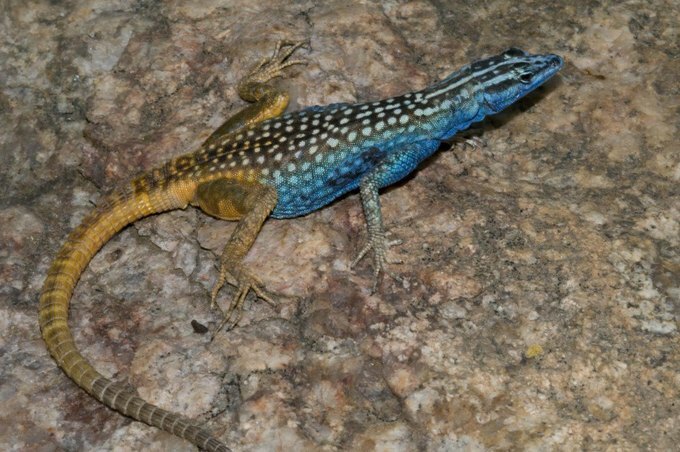 The species, Platysaurus attenboroughi is strikingly colored and lays eggs, unlike most other flat lizards. Dr. Martin Whiting led the team. "We thought it fitting the lizard be named after the world-famous naturalist after he made famous a closely related flat lizard species in the BBC series Life in Cold Blood," he said. The flat lizard family is, as its name suggests, very flat. Their narrow bodies allow them to move through tight crevices. The flat lizards are part of the family Cordylidae, which only lives in Africa.